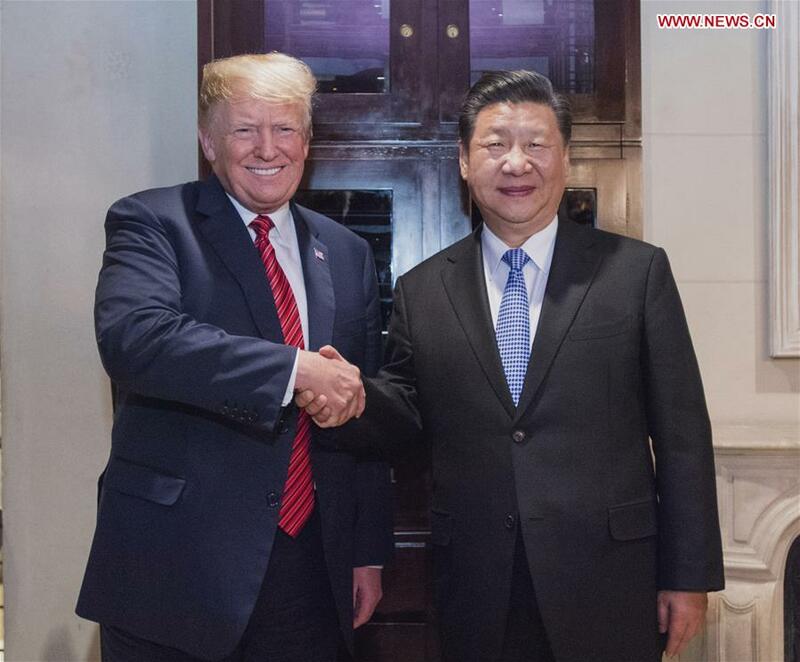 BUENOS AIRES, Dec. 1 (Xinhua) -- Chinese President Xi Jinping said here Saturday that he would like to exchange views on issues of common concern with his U.S. counterpart, Donald Trump, and jointly chart the course for China-U.S. relations in the next stage. Xi made the remarks at a working dinner with Trump. The Chinese president said he was glad to meet President Trump. Since their previous meeting, Xi said, the world situation has witnessed a lot of changes. As two major countries with great influence, China and the United States shoulder important responsibilities in promoting world peace and prosperity. Cooperation is the best option for the two countries, Xi said. The two leaders agreed to meet at the G20 summit in a telephone conversation early last month, in which Xi said that both he and President Trump have good visions for a healthy and stable development of China-U.S. relations as well as for the expansion of economic and trade cooperation.